Luxury jewellery designers, Le Vian showcase their indulgent style with these stunning 14ct Strawberry Gold stud earrings. 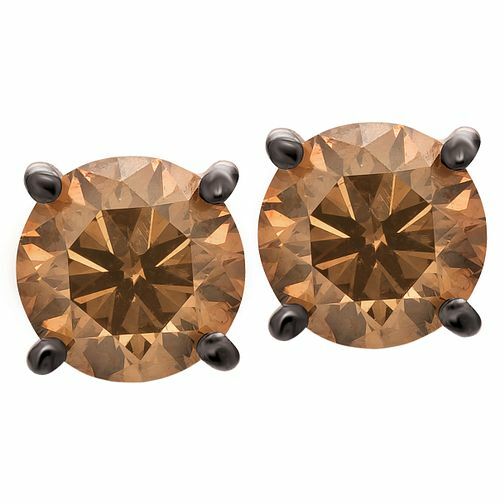 A striking pair 0.46ct Chocolate Diamonds take center stage in this four claw setting. A simple pair of earrings with a contemporary twist. Le Vian 14ct Strawberry Gold 0.46ct Diamond Stud Earrings is rated 2.0 out of 5 by 1.